SATURDAY COOKING: PEAR, CHOCOLATE AND PISTACHIO CAKE. 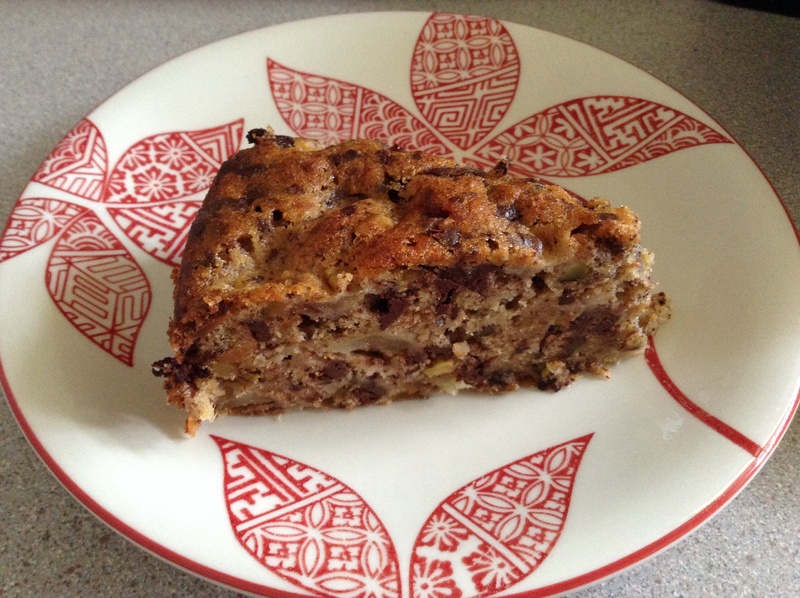 I can’t remember where I got the recipe for this PEAR, CHOCOLATE AND PISTACHIO CAKE. It’s yummy and moist and will serve 10. Or 4, if you are super hungry and have a super sweet tooth! Preheat the oven to 180°C. Line a 24cm round cake tin with baking paper and lightly grease with oil spray. Put the pistachios and chocolate into a food processor and process to a coarse consistency. Transfer to a bowl and set aside. In the bowl of an electric mixer, cream together the butter and sugar. Add the eggs, one at a time, mixing well between each addition. Gently mix in the flour and baking powder until combined. Add the butter mixture to the chocolate and pistachio mixture, along with the orange zest, Marsala and pears and fold through. Spoon into the prepared tin and bake in the oven for about 1 hour, or until a skewer inserted into the centre of the cake comes out clean. Leave the cake to cool in the tin for 10 minutes before turning out onto a wire rack to cool completely. Dust with icing sugar and cut into slices to serve. I used Frangelico. And I cooked the cake for 1h10 in my oven.